A nine-year-old girl who used to have up to 300 seizures a day has been nearly seizure-free since she started taking cannabis oil. 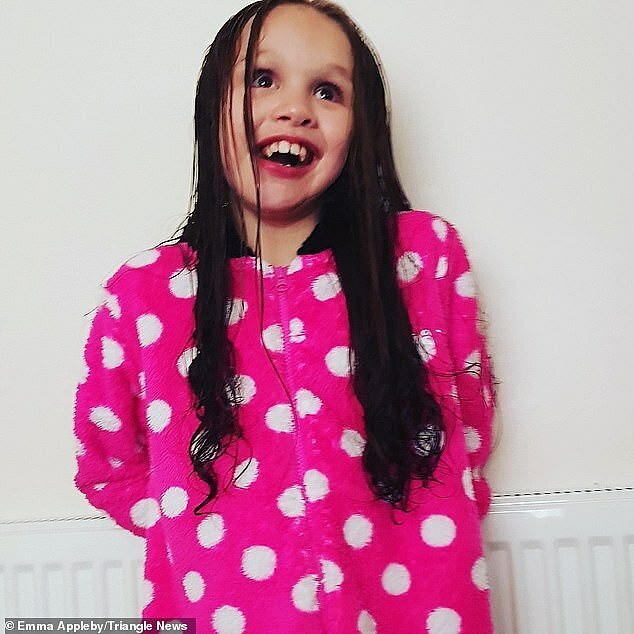 Teagan Appleby, from Aylesham, Kent, was born with the rare chromosome disorder isodicentric chromosome 15 syndrome, which led to her being diagnosed with severe Lennox Gastaut Syndrome epilepsy when she was just four years old. 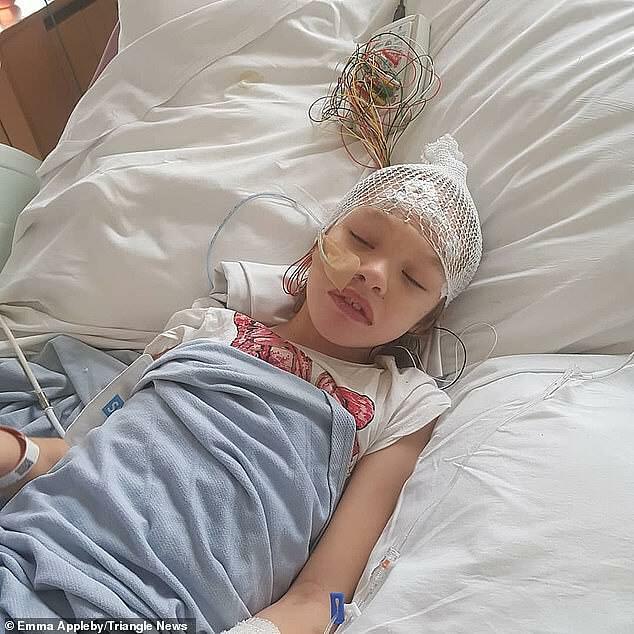 The youngster’s condition became so bad she was unable to eat and even had to be put in a medically-induced coma after she had five seizures over eight days last summer. After having one of the worst cases of epilepsy her doctors have ever seen, Teagan has only had seizures while asleep, and none while awake, since she started taking cannabis oil in July. Lennox Gastaut Syndrome (LGS) affects between one and five in every 100 children with epilepsy in the UK and is the most difficult form of the condition to treat, according to Epilepsy Action. It makes up four per cent of child epilepsy cases in the US, Florida Hospital statistics show. LGS can cause ‘drop attacks’ – when a child suddenly falls to the floor, ‘atypical absence seizures’ – when they appear vacant or blank, and ‘tonic seizures’ – these only happen at night and cause stiffening of the limbs. 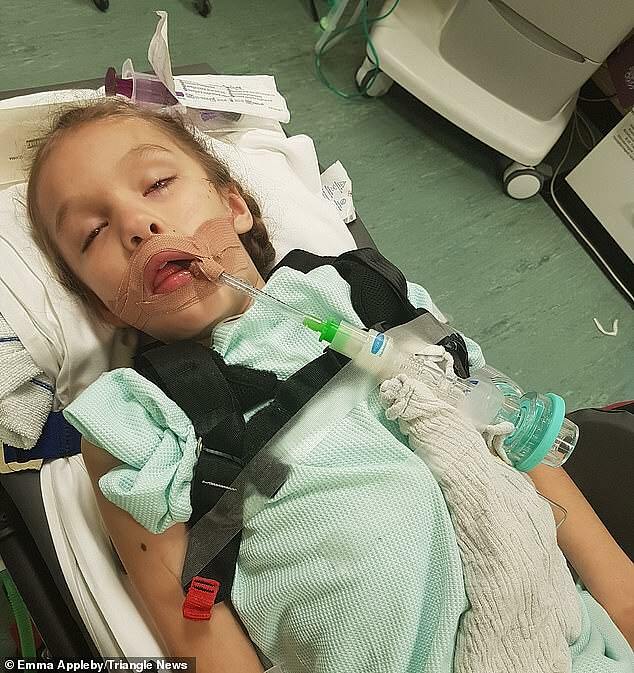 Teagan’s mother Emma Appleby, 35, claims she was forced to call for an ambulance at least once a week before her daughter started taking cannabis oil. Speaking before, Ms Appleby said: ‘It just got really bad, very quickly. She seizures every day and she can seizure up to 300 times a day. ‘She’s lost all of her skills – she didn’t have many because she’s been delayed anyway. 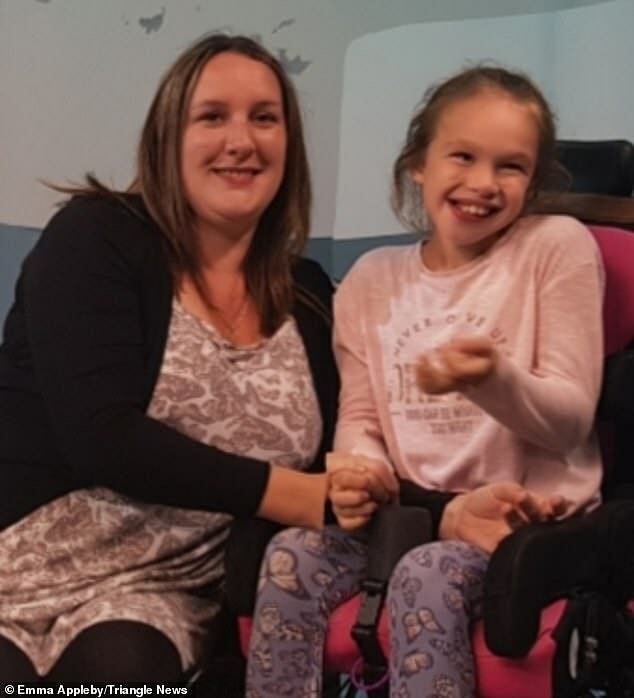 ‘Before she had epilepsy she could run around in the garden and feed herself but now she is completely dependent on someone to look after her. ‘She’s losing the ability to chew and swallow at the moment, that’s the latest thing to be affected. She’s very poorly. Desperate, Ms Appleby set up a fundraising campaign to send Teagan to Canada for a THC trial. THC is the psychoactive compound in cannabis that makes users ‘high’. The Home Secretary, Sajid Javid, announced in October that medicinal cannabis oil, including that containing THC, will be legally available on prescription in England, Scotland and Wales from November 1. Ms Appleby claims Teagan was given Epidiolex, which contains the cannabis compound cannabidiol but not THC. It is unclear why the youngster has not received THC-containing medicine, however, Epidiolex was enough to stop her seizures during the day. ‘If you’ve got a child who seizures 300 times a day, I’d be happy if it was just a 50 per cent decrease,’ Ms Appleby previously said. ‘All I’m after is a better quality of life for Teagan because she’s just not like she used to be and it’s heartbreaking watching her suffer. She’s always been very happy, very loving. ‘Luckily she doesn’t understand what’s happening, she doesn’t suffer in that way, it’s more that I have to watch her deteriorate. I can’t even put her in the bath in case she has a seizure and drowns herself. It’s just horrible. The law change enables specialist doctors to prescribe medicines derived from cannabis and containing THC. Despite being legalised, cannabis oil remains medically unlicensed – meaning there are no guides for prescribing it – and doctors have been reluctant to hand it out. And, so soon after the rule change and with so few people receiving prescriptions, it is not yet widely available at pharmacies in the UK. IS MEDICAL CANNABIS LEGAL IN THE UK? Medicinal cannabis oil became available on prescription from November 1, the Home Secretary announced in October. Sajid Javid revealed laws were changing to allow cannabis-based products for medicinal use to be prescribed in England, Scotland and Wales. The dramatic change to policy followed a review into medical cannabis after high profile cases of patients being denied products containing THC, the psychoactive compound that makes users ‘high’. Epileptic boy Billy Caldwell was even banned from taking cannabis oil that was prescribed to him abroad. He was given back the medicine after a high profile campaign spearheaded by his mother forced Mr Javid to grant a 20-day emergency licence for its use. The Home Secretary has repeatedly insisted the change was not the first step towards the broader legalisation of cannabis. Mr Javid announced on June 19 that the Misuse of Drugs Regulations act of 2001 was being reviewed in a two-part investigation to allow for the prescription of medicinal-cannabis products.